The series of modules is culminated with a multiple choice test reflective of the criteria defined in the PJM Certification exams content outlines for either Transmission or Generation. Upon completion of this course, attendees now receive a free subscription to the appropriate PJM TEST TRAK© program - Transmission or Generation. Completion of PJM TEST TRAK© will reinforce material covered in the course and better prepare individuals for the testing experience! 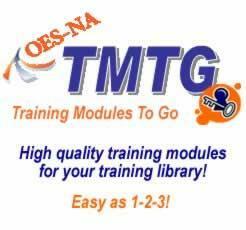 This online course is intended for real-time system operators and support personnel who operate on the PJM RTO systems, are in direct communication with any PJM System Operator, or perform daily operations-related functions at the direction of the PJM System Operator during normal, emergency and/or system restoration situations. Interested in the PJM Manual Review online training series which explores the PJM Manuals relevant to the PJM Energy Markets and Transmission Operations, but do no need the exam preparation components of this package? Click here for information regarding the PJM Manual Series. These modules may also be enrolled in separately.